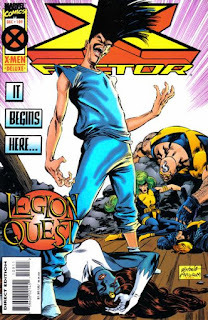 "Legion Quest", the prelude to "Age of Apocalypse", begins in earnest, Warren Ellis' first Excalibur story comes to a close, and another Wolverine one-shot revisits one of the more surprisingly entertaining & effective ones; will the sequel do its forebear justice (my expectations are low)? Legion wakes up and heads out to set things right. Mystique attacks the revived Legion, who telekinetically pushes her away. She manages to escape into the city, with X-Factor in pursuit. 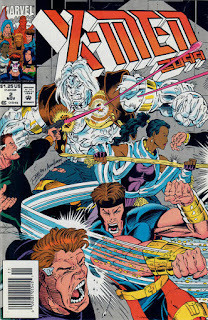 Later, Mystique meets up with Avalanche, but X-Factor tracks her down. Avalanche triggers a tidal wave, and while X-Factor deals with that, Mystique escapes again. Wolfsbane & Forge both track her down again, but their fight is interrupted by Legion, who brings Mystique onto the Astral plane where he passes along a message from Destiny. 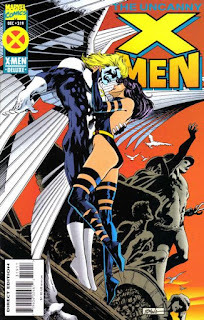 He then returns to the physical world to find X-Factor waiting for him, and he teleports them all away, before flying off by himself, leaving Mystique behind, saying he's going to fix everything, going to make it better. The "Search for Tay Vanis" concludes as Luke & Leia find their long-sought-after quarry. 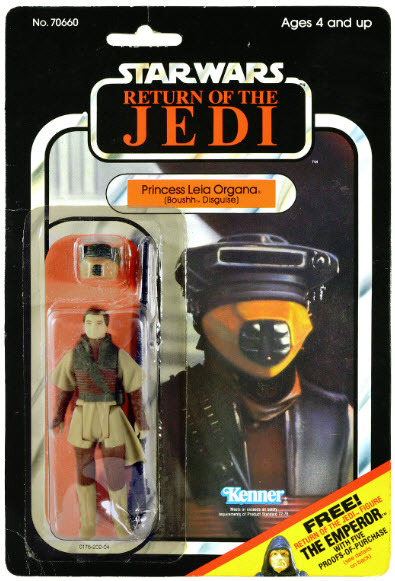 Posing as traders, Luke, Leia & Threepio arrive at an Imperial base on planet to which they were directed by Tay Vanis' last message. They ask Ellie, the droid managing the flow of supplies in the hangar, to search for Vanis, which triggers an alarm. 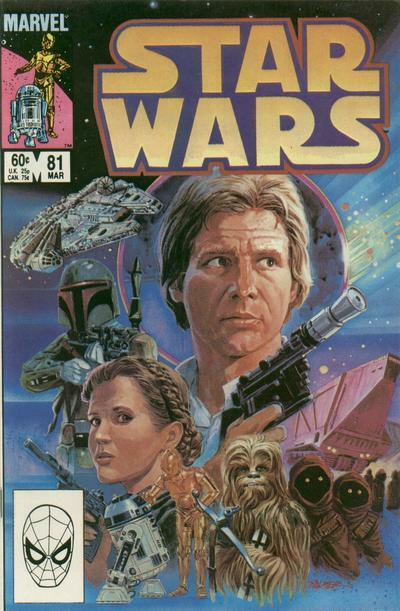 Luke & Leia manage to escape the Stormtroopers which arrive in response, taking Ellie with them. She tells the Rebels Vanis is being held at a nearby castle, but on the way, they spot a crashed X-wing. Investigating, they discover a recording from Vanis stating he left the sought-after data tapes with Ellie, with orders to destroy them should no Rebels contact her in two days. However, Ellie has vanished, so the Rebels proceed to the castle, where they track Vanis to a locked room. 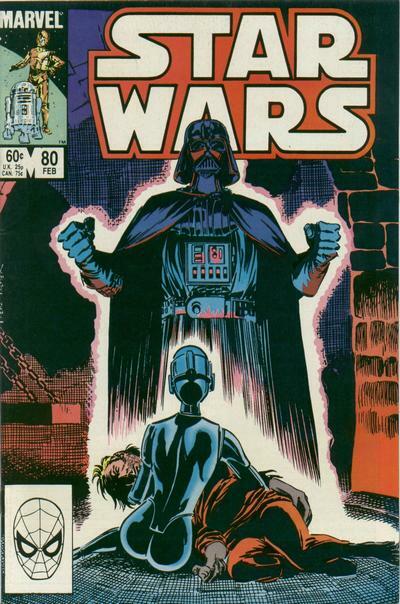 Entering, they trigger a recording from Darth Vader, who reveals he captured Vanis some time ago but, knowing Luke would eventually find him, let the search for Vanis continue to occupy both the Rebels & bothersome Imperial officers. Deeper in the room, the Rebels find a vegetative Vanis. Luke wants to bring him back to the Alliance, but Ellie says saving Vanis would be no kindness. She withdraws the tapes, having held onto them despite Vanis' orders to destroy them, knowing someone from the Alliance would come for them one day. With that, she embraces Vanis, and self-destructs, killing them both. Determined to leave a monument to both Ellie & Vanis, Luke causes the castle to explode, then contacts Admiral Ackbar, telling him they retrieved the tapes, but that Vanis was already gone before they arrived. 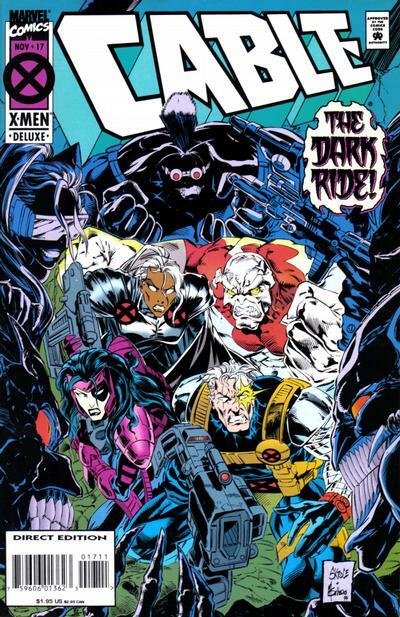 "The Dark Ride Part 1: The Calling"
Cable encounters the new Dark Riders in the Morlock Tunnels. In Egypt, Foxbat is killed by the new Dark Riders. 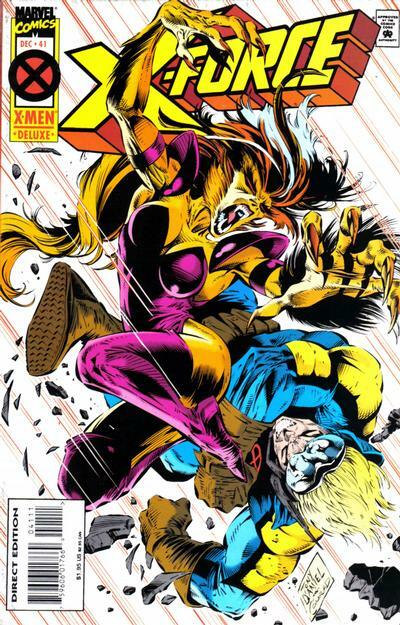 At the X-Mansion, Cable informs Storm that some of the Morlocks may have survived the apparent murder-suicide triggered by Mikhail Rasputin, and she demands he take her into the tunnels immediately. Once there, they encounter Caliban, who is being targeted by the Dark Riders. Cable, Domino & Storm intervene in his defense, and battle the Dark Riders until Harddrive puts a stop to the fight, as the Dark Riders have orders not to interfere with Cable. As the Dark Riders teleport away, Cable demands to know who is giving them orders, but receives no answer. 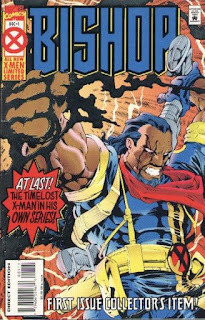 Caliban thanks Cable for saving him, and Cable declares they're going to patch up Caliban and use his mutant tracking ability to track down the Dark Riders. Wolverine & Boom-Boom team-up when a teen cult raises a demon. A strange dream leads Wolverine to the small town of Prescott, which is dealing with the pollution caused by a recently-closed nuclear power plant in town. Boom-Boom is also in town, as she periodically visits the mall there, and they both encounter members of the Devos, a cult of young people dedicated to destroying technology and returning the world to a more primitive state. Using rituals involving animals & technology, the Devos manage to summon an ancient demon. Wolverine tells Boom-Boom to leave town, but she doesn't, and is captured by the Devos. With the help of a local, Red Water Fall, Wolverine tracks the Devos to the abandoned power plant, where they intend to sacrifice Boom-Boom. 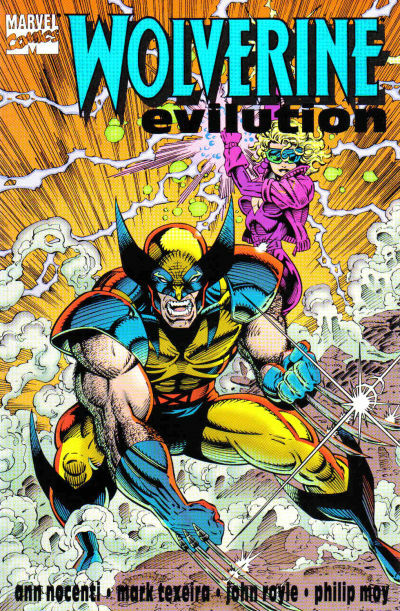 Wolverine & Red Water Fall rescue her, and then Wolverine & Boom-Boom team-up to defeat the demon and shut down the Devos, but the demon swears he will return. 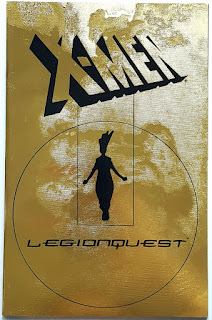 Tim Fitzgerald is asked to join mutant leader Xi'an's X-Men just as Xi'an is betrayed by one of their own. In the year 2099, mutant drifter Tim Fitzgerald arrives at the seemingly-abandoned Nuevo Sol. He is ushered inside by Junkpile, where he discovers a thriving community of societal outcasts, and is shown around by Tina. Meanwhile, mutant leader Xi'an confronts casino magnate Noah Synge, warning him his attacks on Xi'an's people must stop. Elsewhere in the casino, environmental activist Bloodhawk is sentenced to death via a game show, only to be rescued by Meanstreak & Krystalin, two of Xi'an's operatives. Though grateful, Bloodhawk refuses to join Xi'an's group, and flies off on his own. Later, Lytton & Desdemona Synge discover their father has been killed in a manner consistent with Xi'an's disintegration power, and Lytton demands vengeance. Meanwhile, Xi'an arrives back at Nuevo Sol. After checking in with Cerebra, his second-in-command, Xi'an addresses the crowd, including Tina & Tim, speaking about the strength of the diversity of the gathered crowd and their desire to create a better tomorrow. 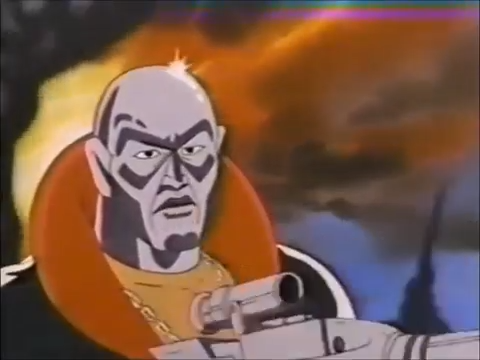 As Krystalin & Meanstreak join the group, Tim spots a sniper in one of the balconies, and uses his power to blast him. However, the assassin still gets off a shot, grievously wounding Xi'an. 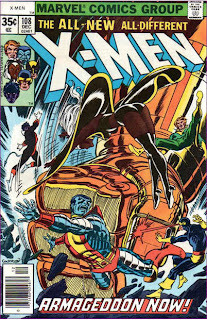 Just then, Synge's casino enforcers arrive, and as Cerebra leads the escape of Xi'an's followers, the barely conscious Xi'an tells a stunned Tim he knew he'd join Xi'an's X-Men. Thanks to a birthday present from my wife's aunt last year, my wife and I recently attended "Star Wars in Concert", an event in which the Minnesota Orchestra plays the complete score to Star Wars while the film unfolds above it on a big screen. As both a huge Star Wars and film score fan, this was a supremely fun & unique experience ("concert films" are somewhat in vogue these days; the Minnesota Orchestra alone has done or will be doing similar performances of everything from Jurassic Park to Prisoner of Azkaban to Star Trek Into Darkness; when my wife and I were discussing what performances would be fun to see in this setting, I basically settled on "most anything"). Here's a few observations and reactions I had during the performance. "If Looks Could Kill!" 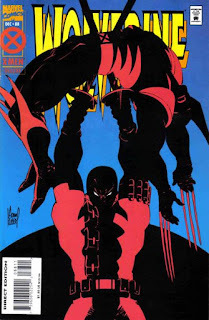 / "Luck of the Irish" / "Deadpool Sandwich" / "Mano @ Mano"
Issue #1 Juggernaut breaks Black Tom out of a government facility working to cure him of the wood infection ravaging his body, taking with them Dr. Killebrew and some files on Deadpool. Weeks later, Deadpool is attacked at a bar by armored soldiers sent by Black Tom. 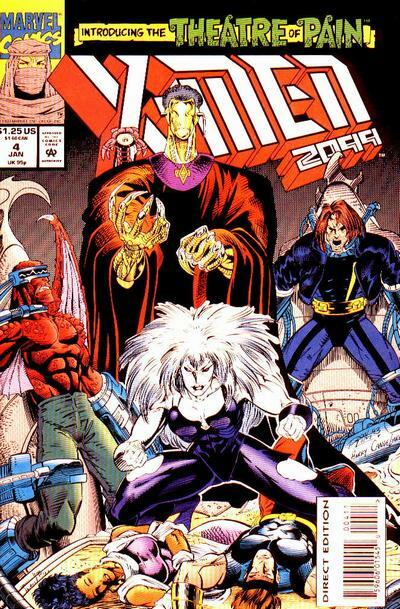 He is joined by Banshee & Siryn, on the trail of Black Tom, and together they incapacitate the goons. 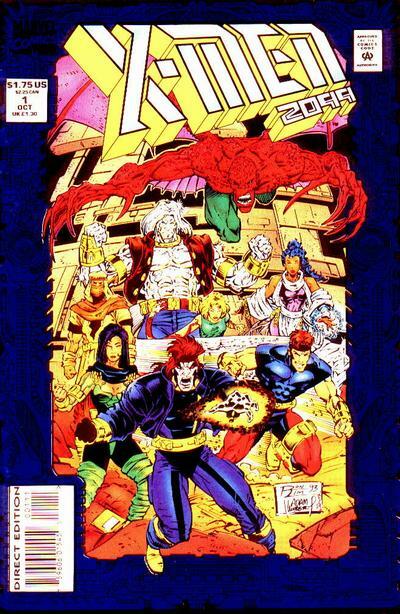 With the trail to Tom cold, Siryn stays with Deadpool while Banshee goes to check with an old Interpol contact. Just then, one of the goons wakes up and attacks Deadpool, slicing off his hand before Deadpool kills him. Siryn is concerned about his injury, but Deadpool insists his healing factor will take care of it, just before he passes out. 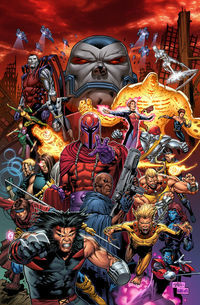 That's right, the next six months of reviews will find the X-books gearing up for, and then diving into, the "Age of Apocalypse", the X-books' most ambitious and sweeping crossover yet, in which every series is technically cancelled & relaunched under a new title set in an alternate reality ruled by Apocalypse, a status quo that will last for an entire four months of publication time. This storyline had a huge influence on me back in the day, and represents something of the high-water mark of my initial Marvel Zombie/all-in/"everything the X-books do is great because they're doing it!" mentality. 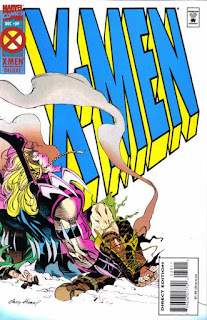 As a result, reaching it in X-aminations is benchmark for me on-par with hitting with the '91 relaunch or the beginning of the "All New, All Different" X-Men, and I'm excited to finally be approaching it. 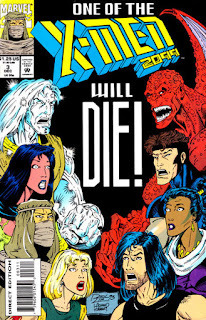 But first, we've also got three months' worth of regular X-books to cover, as the series are forced to pivot quickly from "Phalanx Covenant" to "Age of Apocalypse" (to varying degrees of success; pour one out for Generation X, which gets "cancelled" and thrown into an alternate timeline only four months after it debuts). 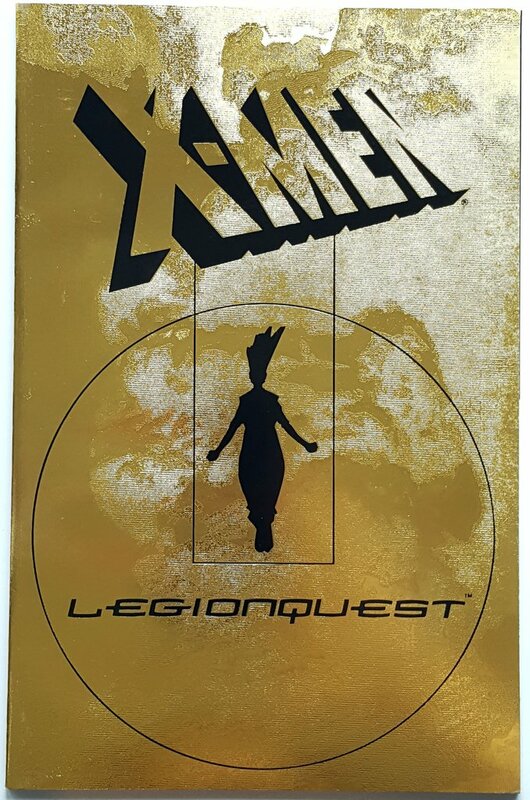 "Legion Quest", the crossover-before-the-crossover, unfolds across Uncanny & X-Men (and to a lesser extent, X-Factor & Cable), the mystery of Reignfire is (sort of) revealed in X-Force before reality gets blown away, and Wolverine returns to the mansion 15 issues after he left. 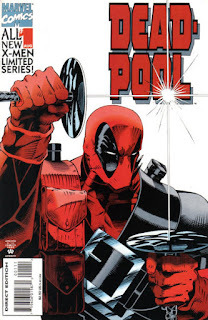 Plus, there's three more solo limited series (a second Deadpool mini, plus Rogue and Bishop's) and, of course, more superfluous Wolverine oneshots. As always, if there's anything that looks to be missing or you think should be covered, let me know!